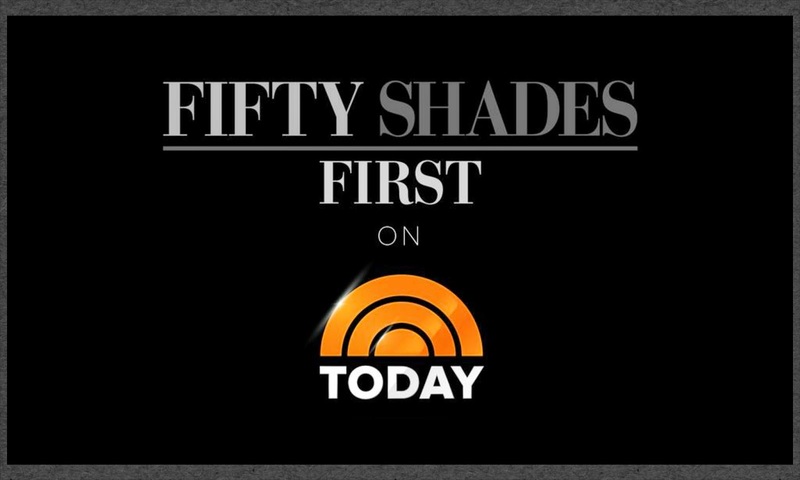 Over 100 screencaps from the latest Fifty Shades of Grey Trailer posted on January 11, 2015. The film will be released on Valentine's Day. Advance tickets are available now from Fandango. Jamie Dornan and Dakota Johnson both dazzled on the red carpet for the 2015 Golden Globes. They will be presenting the second award of the evening. Jamie was very handsome in his black tux as he walked the red carpet with wife Amelia. 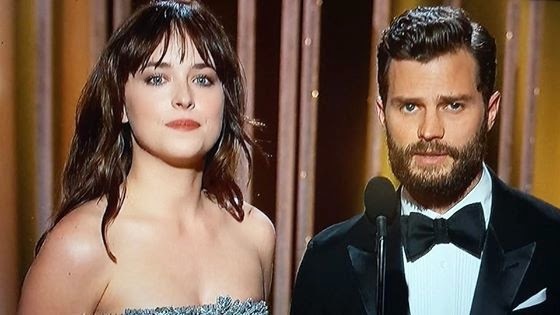 We loved seeing Jamie and Dakota together at the Golden Globes tonight. We can't wait for the Fifty Shades Film Press Junkets to begin so we get many more moments like this.